A packed schedule offers 24 opportunities in June and July to see tool expert Chris Pouncy demonstrate for the 2019 Robert Sorby Tour. Would-be students of fine woodworking can sign up for separate terms within the full-time course, or select from individual masterclasses. Here's a tooling system for turners that’s designed to deliver better results while eliminating the need for sharpening. This video looks at well known power tool (and some machinery) brands and how they and the companies that produce them are related. Phoning our Overall Winner to congratulate him was a pleasure. We also asked him some questions about the making process and found out what he’s doing this year. Amongst other things we asked the winner what the best and hardest thing about making his winning piece. We asked the winner a few questions about making his winning entry and also about what's he's doing this year. "Hearing the sound of the banjo was by far the most rewarding part of the whole project." Read a Q&A with the maker of this award winning instrument. An analogy for Shaper vs CNC machines would be to think of what a track saw is to a tablesaw. It won’t supersede it, but instead offers functionality in a portable format. A new Western Sydney Univ project asks people to send in photos of and info about dead or dying trees around Australia. 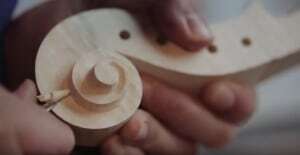 A video which discusses how the acquisition and practice of craft is intrinsic to all facets of learning and expertise. 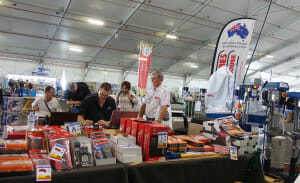 A packed program of displays and demonstrations along with free entry and parking make this annual woodworking event a top value experience. 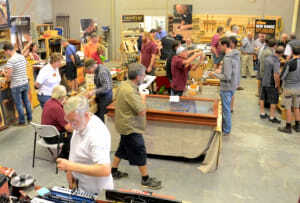 Check out our image gallery of the inaugural Timber, Tools & Artisans Show last weekend. 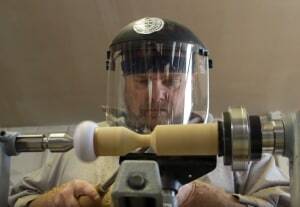 Christopher Fisher went blind a decade ago and soon after took up woodturning.